Nairobi, Kenya – 14th December 2018… This season’s Chapa Dimba Na Safaricom will have a new girls’ winner after defending champions Plateau Queens from Nyanza were bundled out of the competition. NCEOD from Homabay, Kisii SA Ladies, Migori Education Centre and Kisumu’s Manyatta girls will be the teams that will fight for a place in the national final. In the boys’ category, defending regional champions Ombek Red Devils who were among the semifinalists in the national finals have also failed to book a slot in the regional showdown. Nyamaharaga from Kuria, Manyatta Boys, Springs Nyamira and Victoria Strikers from Kisii will be the teams battling for a chance to represent Nyanza in the finals. The Western regional final will take place on 12th and 13th January 2019 at the Bukhungu Stadium in Kakamega. Nyanza will host their regional final at Moi Stadium, in Kisumu a month later on 9th and 10th February. 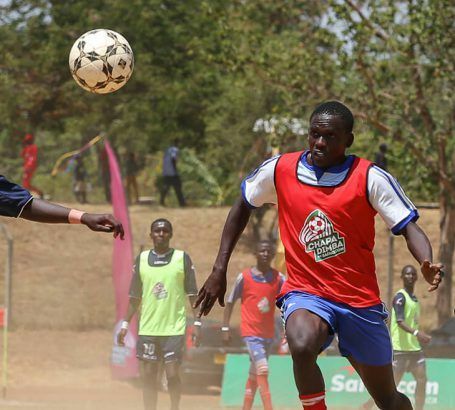 Attention will now shift to Rift Valley, Eastern, Coast, Central, North Eastern and Nairobi regions as they prepare to host their grassroots games. The competition aims at scouting for talented youth, developing grassroots football, and ultimately propelling gifted players to the national team. 1,600 teams from all over the country registered for this year’s tournament.